An essential for back to school item we all know is the pencil and have them on our lists. Why not add this cheesey pencil idea from Moneywise Moms to your list too? Hop on over and learn how to make these funky fun pencils. Liz has done it again making back to school pencils a little sweeter. 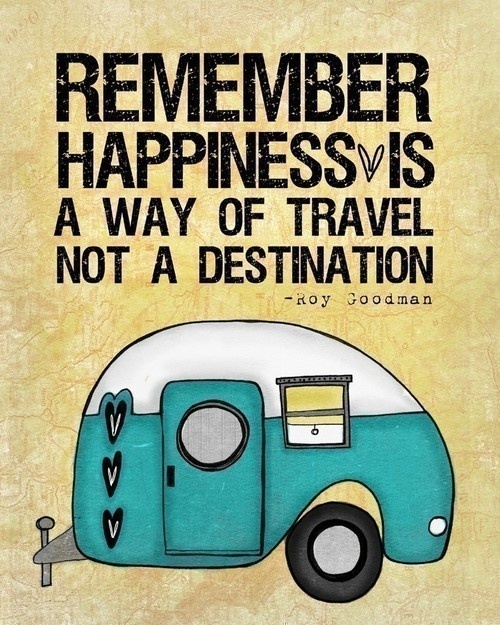 All that you need is right here, but for a beautiful how to pictorial hop over to Hoosier Homemade. If any of you have great back to school surprise recipes, please send them our way. It’s a good day to melt some heat away. There are many versions of ice cube painting. We’re going to try the Kool-Aid one but definitely outside today where it is very hot, not to mention MESSY. We’ll let you know how it goes and if it turns into semi-permanent body painting with colorful little fingers. Share & Remember freezes liquid water colors by filling the trays with water first, then added watercolors & stirred which are left to freeze overnight. 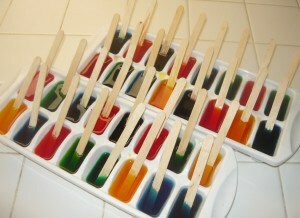 Keep the painting project less messy by freezing Popsicle sticks in the ice cubes. 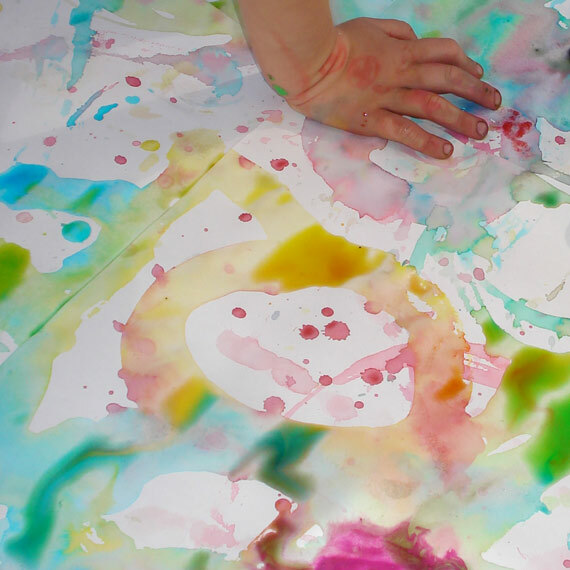 Our approach will be to let the little Van Goghs cool off their hands as much as possible while creating their masterpieces hopefully on large sheets of paper. Minieco put her 3 year old to work which resulted in brilliant and most amazing gift wrap. 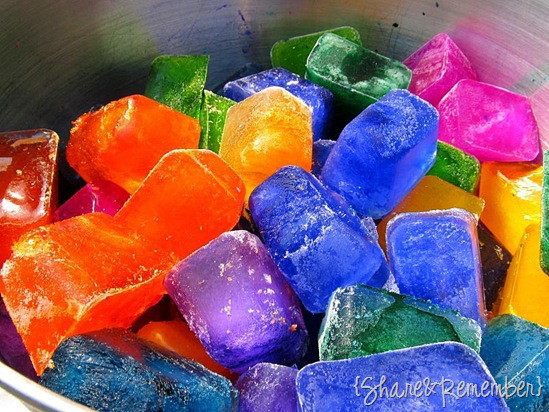 Our recipe was mixing 5 flavors of kool-aid with about 1/4 cup of water for each color, then freezing the colors into a few ice cubes. The less water you use, the more vibrant your colors will be. We know that this will be super messy and must caution all that it will stain clothes and hands. Give this Very Cool Recipe for Fun a try.